It is not everyday that a webshow comes along that is actually entertaining, heck, it is hard enough coming across a real TV show that can capture us for a half hour. Backyard Games, on the other hand is so entertaining that I wanted more then what the 8 minute webshow gave me. As the name suggests, Backyard Games is indeed a game show, and it pits two real guys against each other with challenges using backyard Husqvarna tools. The challenges are put together in a fun manner, and the hosts do a good job of poking fun at everything. Backyard Games is a fun way for Husqvarna to get brand recognition, and I can't wait for the next episode which comes out tomorrow. Backyard Games - Episode 2: Trash Talking. Powered by Husqvarna. 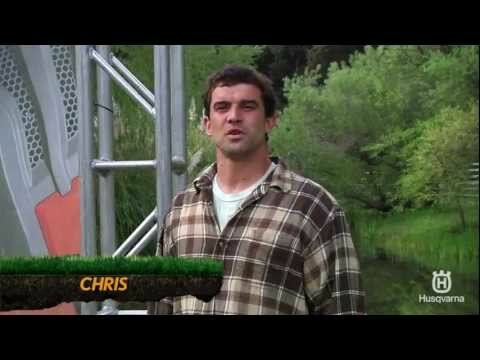 Facebook: http://goo.gl/gT2gY Go to http://www.backyard-games.com and register to win a Husqvarna Lawn Equipment Makeover! Backyard Games - Episode 1: My BFF! Powered by Husqvarna. Facebook: http://goo.gl/gT2gY Visit http://www.backyard-games.com to register to win a Husqvarna Lawn Equipment Makeover!